Osborn Elementary in Rye, NY Achieves a 97% Waste Diversion Rate! Osborn PTO Co-President Susan Drouin and her son stand proudly by the recycling & composting station! Today Osborn Elementary School became the 3rd (and final) elementary school in Rye, NY, to implement the We Future Cycle lunchroom recycling and composting program. Amazingly, each of the 3 Rye elementary schools achieved a 97% waste diversion rate. Only 3% of the lunchroom waste was trash! Head custodian Tim Connick built 2 recycling stations with countertops; he drilled holes into the countertops, revealing the bins for recycling and waste materials underneath. The counters help keep the system well-organized. The lunchroom aides were extremely engaged and helped the students adjust to the new system. As usual, the kids were thrilled with their new lunchtime activity and with creating a healthy environment! Many children ran over to the recycling station with their eyes wide and mouths open in astonishment that launch day was finally here. You would have thought it was Christmas morning and they’d just seen the presents that Santa left under the tree! Their enthusiasm will surely continue as Osborn students are a very thoughtful group. During our classroom presentations to train the K-5 children, they asked “Where does aluminum foil come from?” “How many bags of trash has our school already generated this year?,” “Why don’t we reuse trays?,” and “How do cars get recycled?” We hope they continue to be inquisitive and apply everything they learn to their lives! 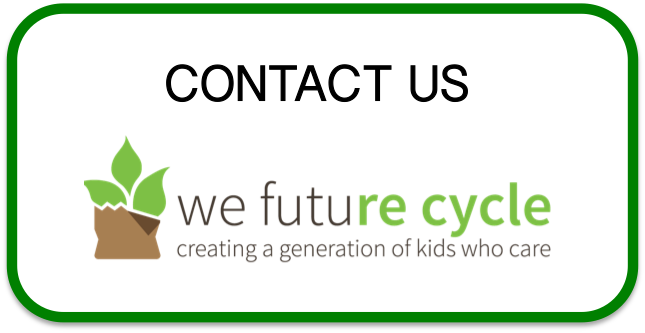 Thank you to the Osborn administration, teachers, aides, PTO and students for giving the We Future Cycle team such a warm welcome and for your commitment to ensuring a healthy environment in the Rye community! According to a new study published in the Journal of the Academy of Nutrition and Dietetics, students with 20 minutes or fewer to eat at lunchtime rarely finish their meal and make unhealthier food choices. This response confuses school administrators, as it would seem that 30 minutes is sufficient for a child to each lunch. However, we have observed that students spend a lot of their lunch period talking, as it is often the first opportunity during the school day that they can relax and talk with their friends. Socializing often takes priority to eating! The research – and We Future Cycle – offer recommendations about how to reduce lunchroom waste and to encourage healthier eating. Designing lunchrooms and lunch schedules to reduce wait times on lunch lines, and to offer as extensive lunch periods as possible, are constructive ideas. While recycling and composting is great, the best way to reduce waste is to not create it!